The results that video marketing can bring to your business are nothing short of happiness and a base for long-term, sustainable growth. For the past few years, with the rise in the number and amount of eCommerce purchases, the effects of video have been astounding: video accounts for 50% of all mobile traffic and more than 50% of marketers believe that video is the content with the best ROI. On a daily basis we are now watching more than 100 million hours of video on Facebook each day! That’s alot! In 2016, video’s importance will jump and leave those not using video sitting alone in the dark, and according to ReelSEO, nearly 75% of consumers are watching video before making a purchase! 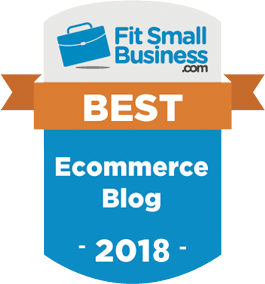 Facebook continues to be the top social commerce platform, and as such its new features and the ROI you earn on the platform are crucial to your growth. That leads us to video! Do you want to get in on video marketing on Facebook? If so, use a combination of the following five different options of Facebook video marketing. Enjoy! Although this feature is not yet available to every Facebook business, it is on target to happen sooner rather than later. Currently Facebook Live is only available for verified pages, although this will probably change in the next few months (in April, Facebook’s Instant Articles will be available to all publishers and could be a sign of things to come) as Facebook becomes a more central figure in distributing content. It is however available for individuals both on ios and Android (on a limited basis, inside the US). 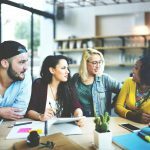 Live streaming on Facebook will enable you to show your customers and fans an exclusive behind-the-scenes view of the work going on to bring them their products, run spontaneous Q&A’s, show off new products, and do so much more to instantly create a stronger relationship between your brand and your customers. This is going to be a game changer! 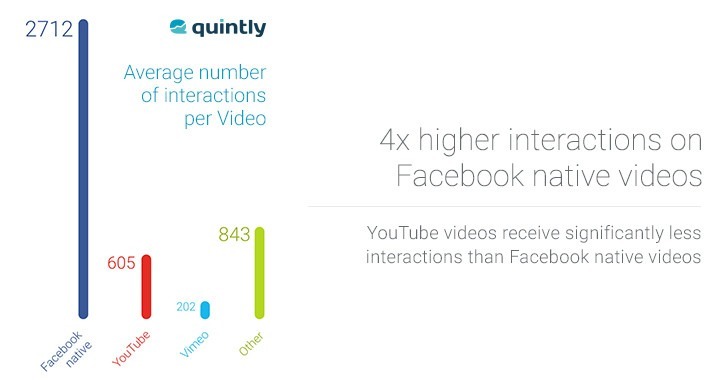 First things first, Facebook’s native videos have a bigger organic reach than YouTube videos! 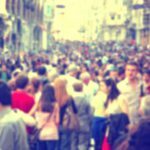 With the diminishing organic reach available to pages today, creating content that you know will help increase the likelihood of getting in front of more fans is crucial. 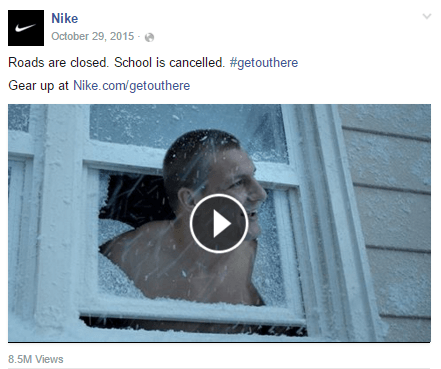 Why do videos uploaded to Facebook increase your organic reach? Generally Facebook’s news-feed algorithm gives preference to content that people consume and share most. That is what is happening with Facebook videos. Video marketing using Facebook native videos (those videos upload directly to Facebook) is performing better than other videos that are linked to exterior sites (YouTube, Vimeo, etc.). Videos uploaded to Facebook are getting 30% more views! Facebook, as an advertising platform, is evolving. From instant articles, Facebook Canvas, and the addition of carousel ads, advertising on Facebook in 2016 just isn’t what it used to be in 2015. That shouldn’t scare you. Innovation should never scare you. 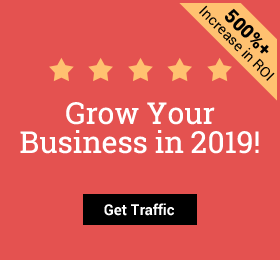 The bright side is that there has been a 50% growth in video viewing on Facebook, businesses like yours are driving awareness and sales with Facebook video adverts. Why does this video advert rock? It’s short, inspires, and requires no sound. Three elements of successful Facebook video marketing done right! As you’ll see below, the first few seconds are the most important seconds of the video. A simple and effective way to check (on your own) if the beginning gets the job done, is to watch the video for just the first few seconds (three to five); ask yourself if it tells a story. Yet one other type of video supported on Facebook is the relatively new Facebook Slideshow. The ‘Slideshow’ is a video of between three to seven of your own photos. Unlike creating a video that may take a bit of time and energy (although we do ours in fewer than 10 minutes), you can easily add a ‘Slideshow’ to your business page with just a few clicks and see the engagement rise. This is simple, and more interactive for your Facebook page followers than just a single image. No matter what you are promoting, Facebook Slideshow can engage (we’ll be trying this in the coming week). Engage: occupy, attract, or involve (someone’s interest or attention). Facebook’s 360 video is the video content that meets the definition of ‘engage’. Just a couple of years ago, images were bringing the best results to social media posts. That trend however will change, and soon video will be the outright leader in getting social media followers to interact with companies. Once video becomes the norm, the question will then be what kind of videos will bring the best results. That’ll be 360 and 3-dimensional content. Here’s an awesome example! Video is engaging content. There is no doubt about that, and video marketing stats back that up. With that in mind, uploading a video just for the sake of uploading video (to check it off your list of things to do), won’t get you or your brand very far. Below are a few guidelines to follow when trying to master Facebook video marketing. Follow them, and you’ll see a whole new level of engagement on your Facebook page. Although the videos do start to play on their own, that only happens once someone’s mouse scrolls over the video. To guarantee as many views as possible, the first step to creating a native Facebook video that helps you grow your business is using an attention-grabbing thumbnail. 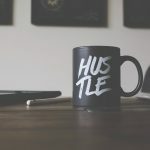 The rule of using an attention-grabbing thumbnail for your videos is no different than the practice of using high-quality images for your blog posts and your product pages. We are visual beings: content with relevant images gets 94% more views than content without relevant images (via HubSpot)! 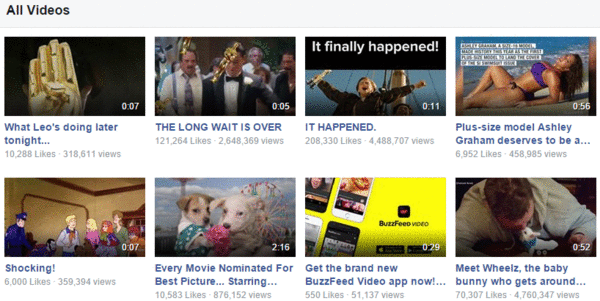 With over 2 billion Facebook video views in a month, we can all learn a thing or two from Buzzfeed. All of their thumbnails draw us in, some more than others. Pro Tip for Thumbnails: Have someone take a few pictures while you are filming. Make sure you’ve got the best action shot for your video’s thumbnail. These are the most important seconds of a video, although that does not mean the rest of the video is meaningless. A video ‘view’ in Facebook starts from three seconds, and hence the number of views are those people that watched your video for at least three seconds. Here’s proof from a study conducted by Facebook and Nielsens on people’s viewing habits (in regards to the time spent viewing the video). What is interesting in their findings is that video view counts (minimum three seconds) don’t tell businesses the entire story of the value (return on investment) from a native video. The first few seconds of the video are not only your chance to get people to watch the entire clip, but more importantly, the chance to leave a positive impression with viewers. How do you do that? Focus on your customers and not on yourself. What do your customers/followers need? What are they talking about? Once you’ve got that down, or understand how your video helps them, make that the stressed point of the first frame. Remember that videos are being watched on Facebook, in the middle of the news feed. Why does that matter? No one came to Facebook to watch your video, so make sure sure that you provide the video content in a meaningful manner that stimulates the viewer’s attention (whether that be via actions, background motions/scenes, or words). With the above lesson in mind, every business should still experiment with shorter videos in order to understand what value is being created for their brand. It seems intuitive that the longer the person watches, the greater the value (as also seen in the curved graphs above). Value increases the longer people watch. 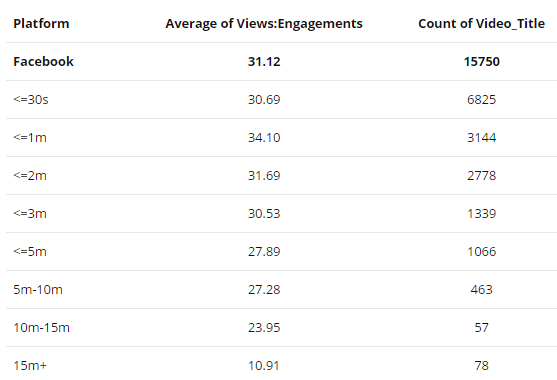 As you can see in the above figures, the optimal video length for engagement is to keep the video short. As the duration increases, the likelihood of high-level engagement decreases. The bottom line is to focus on storytelling. People love stories. Stories are what drive hit tv shows, blockbuster movies, viral videos, infographics, and every piece of content viewed by millions. It all tells a story. Video shouldn’t be longer than the amount of time it takes to tell the story in a simplistic, yet attention-grabbing manner. How many videos do you watch with sound? Odds are that you view the large majority of Facebook videos without sound, and you aren’t alone. According to research conducted by Facebook, up to 80% of mobile users feel negatively towards both the brand and platform if a video ad played loudly when they weren’t expecting it. The solution to the viewing habit of watching videos without sound is simple: either create a video that needs no talking to get the point across or add subtitles. Subtitles can either be added to your video before uploading to Facebook or by adding a ‘SRT File’ once the video has been uploaded to Facebook. No post is complete without a call to action. Even content that is ‘amazing’ will convert at a higher rate when there is a relevant call to action. 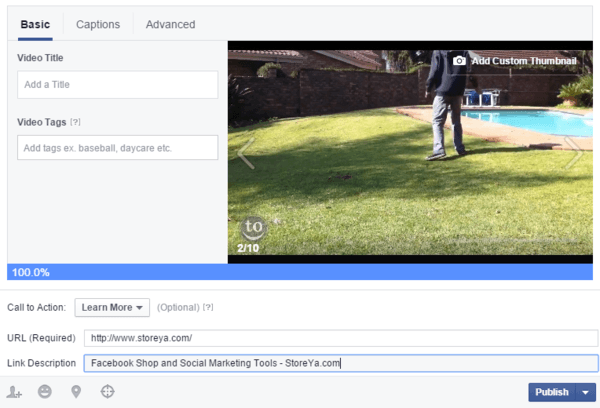 You can easily add a built-in call to action to the end of your native Facebook videos! 1. Select ‘Photo/Video’ from the posting options on your page. You’ll then see a version of the below image. Once you add a title and tags, go ahead and select the appropriate thumbnail (OR add your own custom thumbnail). At the bottom you’ll see the option to add a ‘Call to Action’. 6. Once you add the URL, you’ll get the ‘Link Description’. Either use the default option or select a different description. At the end of the video, depending on the CTA you’ve chosen, viewers will see the call to action. Aside from the built-in call to action that appears at the end, we highly recommend adding your own text and link to the status. You should at least test this strategy (if you don’t want to use both) in order to understand which call to action brings more clicks. If you work on optimizing all of those elements of your videos, all of the time spent on video marketing for Facebook will payoff. Success is in the data. The data is not random (unless it represents a very small sample size) and can teach you valuable lessons on how your videos are performing. To see video insights, go to the ‘Insights’ tab inside your page (on the very top), then in your ‘Recent Posts’ click on the video that you want to analyze. You’ll then be able to see the above data for your video, as well as switch to the ‘Post’ view. In the ‘Post’ tab you’ll see data regarding the post’s reach as well as more pieces of information on your video’s reach. You’ve seen for yourself how valuable video content is as a marketing/advertising/engagement medium on Facebook. Rich media and interactive content are the future of marketing – you can bank on that! Start creating videos for your brand, and stay on par with consumer trends. Take note, no one on social media is talking about brands doing the same things that were happening in 2000. The brands getting talked about are the ones that take the next step forward in being innovative with their communication and products. Where do you want to place yourself? Answer with actions, and not with words. So informative! 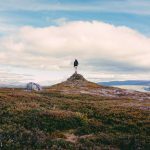 Kudos to this Blog!